MAKKIMAKKI PROUDLY APPLIES A STRATEGIC APPROACH TO CREATING THE LEADING PREMIUM DRIED PASTA BRAND AGAINST INTERNATIONAL KEY PLAYERS FOR INDOFOOD, THE COUNTRY'S LEADING FOOD COMPANY. Indofood, Indonesia’s leading flour mills and manufacturer, launches La Fonte, a premium dried pasta product range, to the retail market. The brand’s name and identity are strategically created to express an international “food expert” image with a premium packaging design that pronounces its international brand appeal. 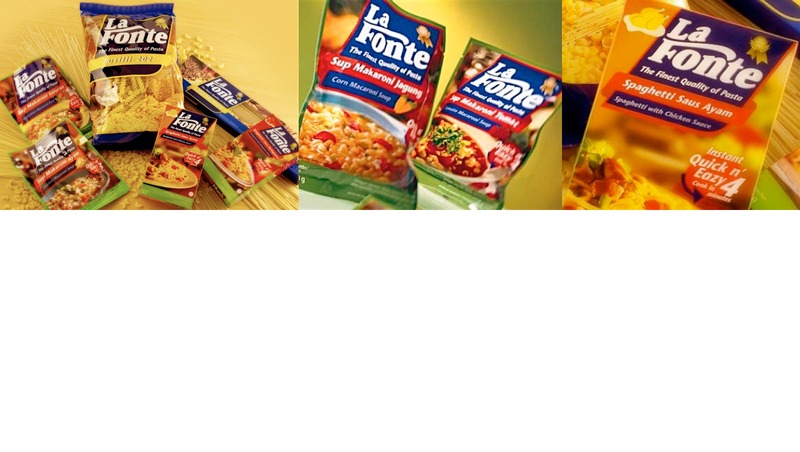 La Fonte is currently the leading local dried pasta brand in Indonesia competing against the international brands.